Sandra Averhart reports on the prevalence of juveniles being prosecuted in adult courts at the sole discretion of state's attorneys. A panel discussion is 5:30 p.m. Monday, Oct. 16 at Franco's Italian Restaurant. A coalition of groups, including the Pensacola Bay Area League of Women Voters, is presenting the eighth program in their series of “Pipeline to Prison” community forums Monday evening at Franco’s Italian Restaurant on Gregory Street. This latest forum is entitled “Florida Law and the Effect of Adult Incarceration of Youths.” It will feature a panel discussion on the large number of juveniles in Florida who are sent into the adult court system by a method called Direct File. “Direct File is a process by which the state’s attorney has sole discretion of whether the child is tried as a juvenile or as an adult,” said Paula Montgomery, chair of the Juvenile Justice Committee of the local chapter of the League of Women Voters and member of the state organization’s steering committee on Juvenile Justice. 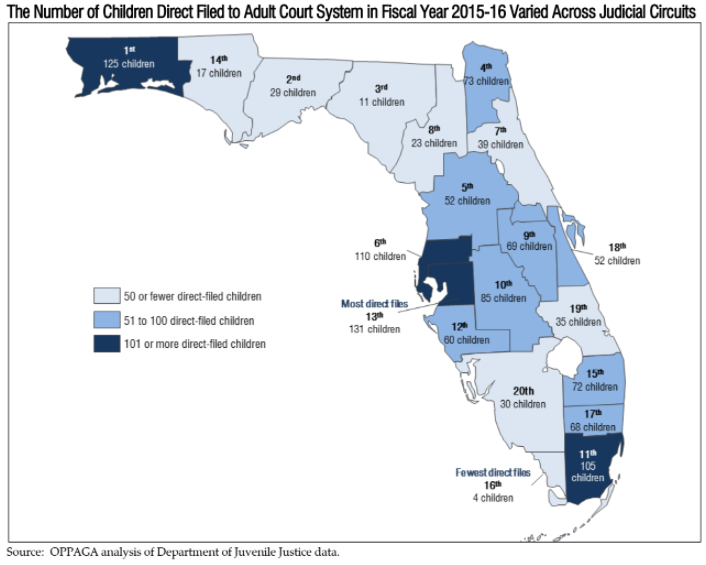 According to the March 2017 report of the Florida Legislature’s Office of Program Policy Analysis & Government Accountability (OPPAGA), the First Judicial Circuit was in the top three in the number of children direct-filed into the adult court system in fiscal year 2015-16. The First Circuit covers Escambia, Santa Rosa, Okaloosa and Walton counties. Northwest Florida’s 125 direct-files was second only to the 131 from Tampa’s Thirteenth Judicial Circuit. Montgomery invited Tampa’s recently elected State Attorney Andrew Warren to speak at the forum. A few months after taking over as State Attorney, Warren told Tampa’s News Channel 8 about the reforms already underway within his office. “We’re doing a few things. One is that we’ve already been changing the number of direct files to reduce the number of juveniles who are processed through the adult court system,” said Warren, adding that they’re also working to expand the county’s juvenile citation program that’s set to expire this summer. Joining Warren on the panel will be Kelly Richards, Juvenile Public Defender for the First Judicial Circuit; retired First Judicial Circuit Judge Terry Terrell, who worked in the Public Defender’s office earlier in his career; Pensacola attorney and activist Fred Gant; and Maya Rose Goldman, an Outreach Paralegal with the Southern Poverty Law Center. Leading off the discussion will be Dr. James Arruda professor of psychology at the University of West Florida. Arruda will discuss development of the human brain. “The frontal lobe is the last area of the cerebral cortex to develop and it takes until about age 25 to fully develop,” said Arruda pointing to the scientific conclusion that juvenile brains are not fully developed, which affects their planning and decision-making. Arruda believes juveniles should be handled differently from adults; they should not be prosecuted in adult courts or sentenced to adult correctional facilities. The program will begin with a short documentary titled “Stickup Kid,” which tells the story of a young man who was sent to adult prison in California at age 16. 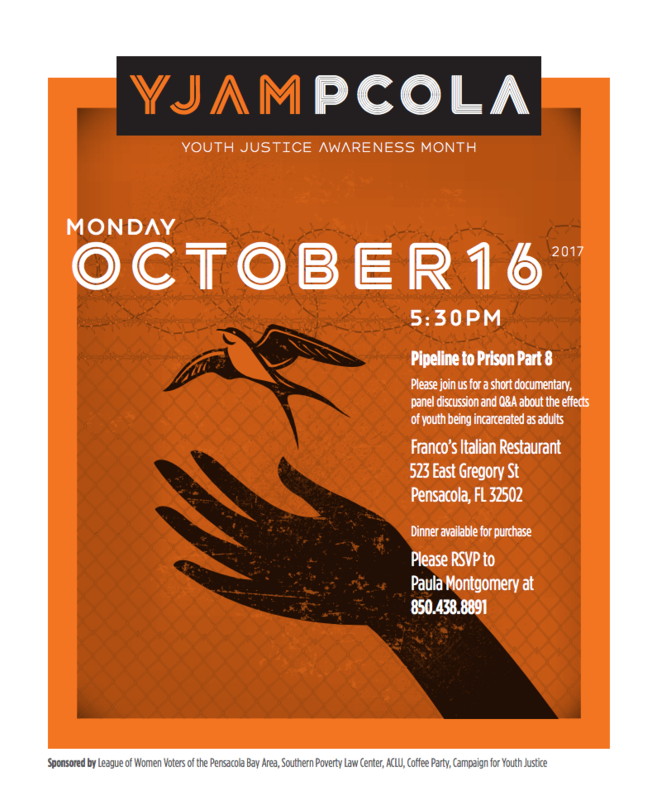 Presented by the League of Women Voters of the Pensacola Bay Area, the Southern Poverty Law Center, ACLU, Coffee Party, and the Campaign for Youth Justice, this is the eighth program in the “Pipeline to Prison” series, and the second focused on the Direct File issue. 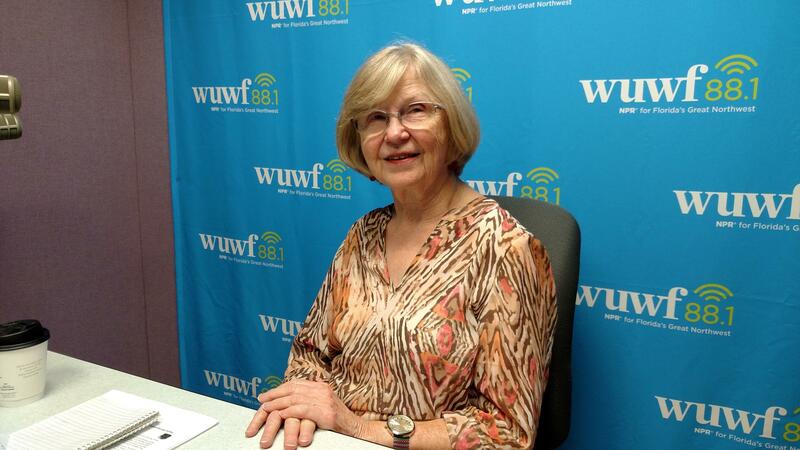 Paula Montgomery with the Pensacola Bay Area League of Women Voters. Although legislative efforts have failed thus far, program organizer Paula Montgomery says she is determined to keep working for a better system of juvenile justice for the children in our community. The dinner program will begin at 5:30 at Franco’s Italian Restaurant on Gregory Street, downtown. For more information, visit the League of Women Voters website at lwvpba.org. Also, reservations are available by contacting Montgomery at 850-438-8891 or send an email to montpns@aol.com. Checkout Montgomery's October 3, 2017 Viewpoint in the Pensacola News Journal.